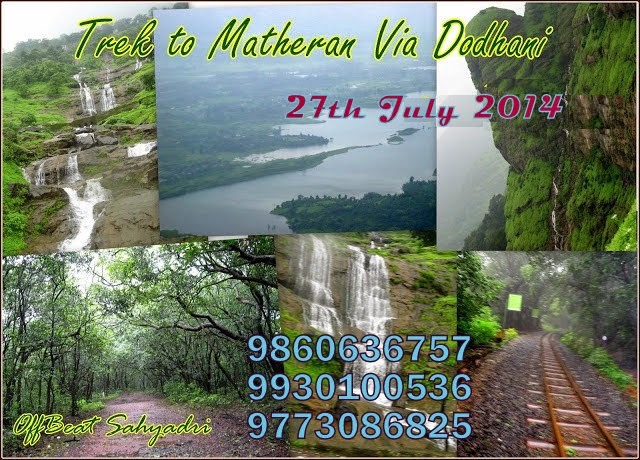 We invite you to a trek to Matheran via Dodhani Village on 27th July 2014. Meeting Point : Panvel St Depot 7am sharp. One may catch Thane Panvel Bus at 5.55 am from Thane depot just opposite to Thane station. Or may opt to travel by following train and then reach Panvel Depot. Rains are expected so pack your bags accordingly. Double pack valuables in polythene.